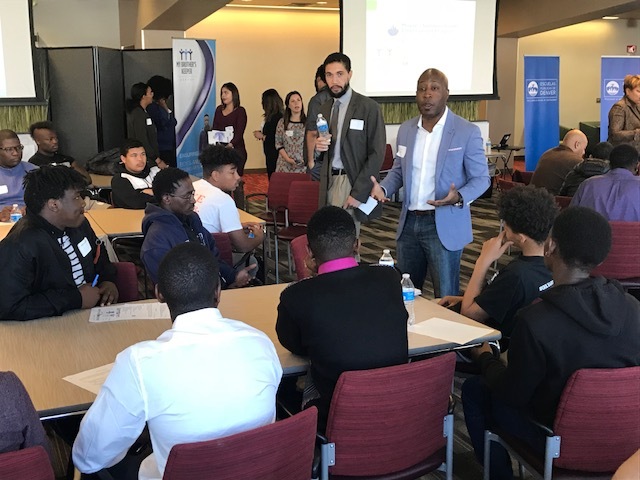 In Denver, the My Brother’s Keeper (MBK) initiative continues to inspire and unite local organizations, businesses, youth and youth advocates, government agencies, community members and educators across the city to share in the responsibility of ensuring boys and young men of color have access to life-enhancing opportunities and pathways. The Office of Children’s Affairs (OCA) with the City and County of Denver has fostered a foundation for Denver to stand strong as an MBK Community. Individuals and youth-serving organizations across the city are working on behalf of, or directly with, boys and young men of color to challenge systems, remove barriers, and create more opportunities to improve their outcomes. To better understand children across the city, the Office of Children’s Affairs uses data to capture the realities of what children are experiencing in Denver – who they are, what neighborhoods they live in, what challenges they are up against, and what boundless opportunities stand in front of them. Denver recognizes the value of sharing data with policy makers, advocates, and community partners, so they have a common understanding of these challenges and opportunities, and can establish strategic partnerships and leverage resources more effectively. OCA created a map of Denver neighborhoods to illustrate where boys and young men of color live and what challenges they might be facing. Eleven key indicators were statistically aggregated to highlight areas of cumulative disadvantage. These indicators measure the differences in the combined effect of demographics, education, health, and community factors, and result in a snapshot of opportunity for Denver children of color by neighborhood. Denver calls this the MBK Index. By statistically gathering these key indicators to emphasize areas of increasing disadvantage, MBK Denver is identifying and focusing on societal and systemic problems that limit opportunities for boys and young men of color by neighborhood. Through this data-driven approach, Denver is unpacking the complex barriers that these youth face and working to create supports that will ultimately lead to solutions to improve outcomes for boys and young men of color. Learn more at denvergov.org/mybrotherskeeper or access the MBK Index online.